We were keen to visit Perm 36 to learn more about the Soviet work camps (or Gulags as they are more commonly known). Most of the gulags were destroyed by the Soviet government at the dissolution of the USSR, but Perm 36 remains and is preserved as a museum to the history of political repression. This camp was built in 1946 and was operational until 1987! Those imprisoned in the camp were forced to work in the surrounding forests, felling trees by hand all year round - in the winter temperatures commonly reached -40 degrees centigrade! The prisoners were fed unacceptably small rations, and based on their productivity some got more than others. This combined with the backbreaking labour resulted in lots of people literally being worked to death. The museum has suffered recently as the Russian government has attempted to renew nostalgia and patriotism for the Soviet era due to current political situations. Up until last year the museum was operated by a non governmental charity but has since been taken over by the government in an attempt to control the way the past is portrayed. We were worried that this may affect the experience, however we were pleasantly surprised at the impartiality and openness of Sergei who showed us around the camp. A prisoner out cutting trees during the winter. Both men and women were made to work hard in all conditions. A bookshelf containing the only approved reading materials for inmates - all written by Karl Marx, Lennin or Stallin. 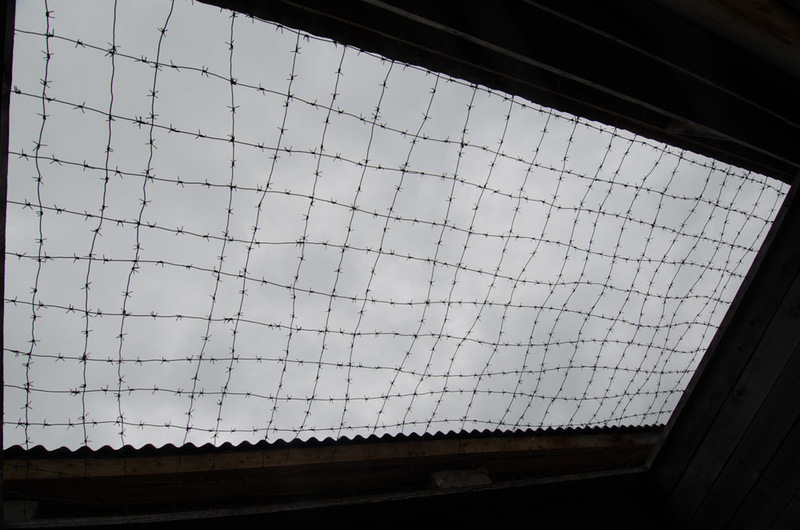 Barbed wire fences surrounding the camp. Stanza of a soviet era hymn written in barbed wire as you enter the camp. 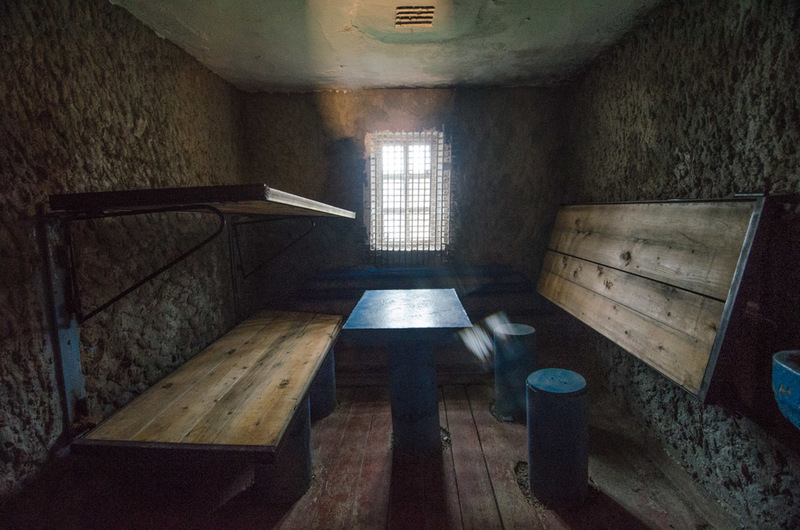 An isolation cell for prisoners who disobeyed the strict rules enforced in the gulag. The standard accommodation for inmates at the camp. The tiny area available for prisoners to exercise in the fresh air.